The cold weather is here and whether we like it or not, or I would say nobody likes to get sick, we will get sick due to the cold temperatures. We tried our best to prevent things from happening, however, the immune system can only fight so much. Members in the family get sick, especially infants, toddlers and kids. Cold and Sore Throat are very common sickness for our precious one. As a mother our instinct kicks in to find the best remedy that would work faster in order to make them feel better. We want it to be more safe and accurate as well. And sometimes, each immune system isn't the same that it might work for one child fast and would not work at all for the other. 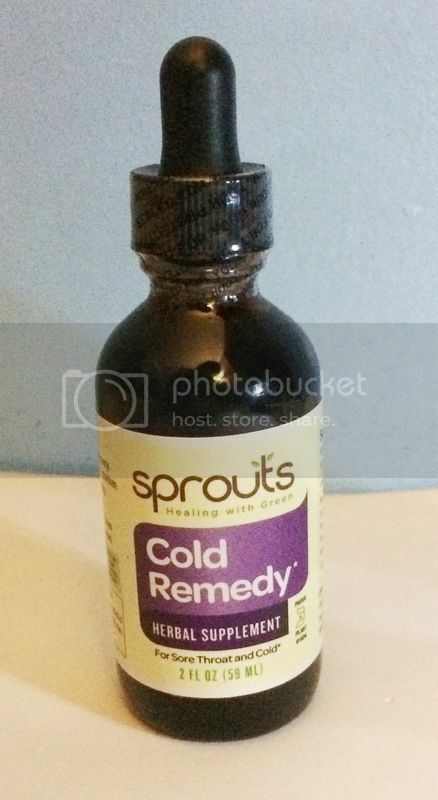 Today, I will share with you my experience of using Cold Remedy from Sprouts-Healing with Green. It is a herbal supplement intended to help you with your sore throat and cold. It contains of Ginger Root, Mullein Leaf, Myrrh Gum, Red Clover Herb, Thyme Herb Green Tea Leaf, Elderberry Fruit, and Echinacea purpurea Herb (this is a great immune system builder!). And also has a vegetable glycerin and deionized water. Though this can only be taken 1 ml which is equivalent to 25 drops for 1-2 times per day, can be added in water or as needed. The minute I opened the small glass bottle, I could smell the herb scent in it. It isn't strong for me and there is the smell of sweetness in it, yet you can tell that this product is made out from a herbal ingredients. Thus we wish everyone can use this herbal supplement, pregnant women are not advised to take this remedy. I wish that the instruction on the label about how to use the product could be more elaborated to be easier for users to use the cold remedy. I need to make sure that I did the right thing, and so before using the product. I went online to double check the proper method of using and giving it to my 5 years old who is now seeing signs of common cold. I asked for his opinion and what it tastes like, he said it's sweet just like nothing. He did not put a fight when I gave him the drops. I seldom hear my son coughs now and he says he feels better. I'm glad that there is another safe and herbal way to fight this common cold. Ginger has always been great with sore throat so it's not surprise that it's a main ingredient here. Thanks for sharing, it sure sounds awesome! I love using natural products for my son because I know it's safe and has no side effects. Glad to hear your son is feeling better now. Thank you for sharing this! My hubby has been sick with a cough for what seems like weeks. We are also very pro natural remedies!